According to a recent study published in U.S. News and World Reports, nursing schools in California rank well within the tops in the nation. Further, students who recognize not only the career value of a nursing education but the need for qualified nurses are responding in droves. This response is much to the benefit of hospitals and other institutions who have responded to the shortage of nurses by offering numerous incentives to attract qualified candidates to fill their nursing jobs. In fact, part of the reason for the spike in the number of students applying to nursing schools is the “sweetening of the pot” being offered by those institutions who want to attract graduates. These incentives include awards of money to be applied to housing down payments, educational reimbursements, short work weeks, travel benefits, shift differentials, and many more. Ironically, these incentives are offered to those in a profession already known for its reputation for quick career advancements and other benefits. At the top of the list for nursing schools in California are University of California, San Francisco, University of California, Los Angeles, and University of San Diego, all of which are accredited institutions. University of California, San Francisco, offers one of the highest regarded health education programs in the nation, including nursing, at the one of the nation’s top medical centers. The nursing school is ranked first nationwide in several nursing specialties, including family nurse practitioner, psychiatric/mental health clinical nursing, and others. With a staff that includes Nobel laureates and in one of the top research support institutions of the National Institute of Health, UCSF has been diligent in their efforts to maintain a top-rated program. University of California, Los Angeles operates a School of Nursing that provides plentiful opportunities for students to pursue collaborative and interdisciplinary education and independent study projects. UCLA prides itself on the low student-staff ratio which aims at being the foremost institutions of health care providers in the nation. University of San Diego is nearly 30 years old, and offers complete degree programs for students wishing to join the thousands of graduates who now serve in health care institutions across the nation. International studies is a large focus of the program at USD, with students that focus on dealing with illnesses that affect primarily those in underdeveloped countries. These students focus on treating patients in these countries as missionaries and other foreign capacities. All three of the above institutions offer varying levels of online educational programs. 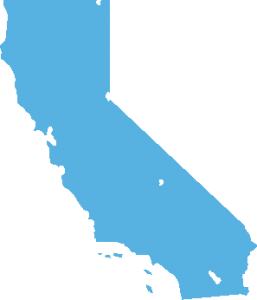 The state of California offers a wide variety of financial aid programs in the form of scholarships and grants. Among the most popular of these are the so-called “Cal Grants,” separated by needs. Cal Grant A offers grants for tuition and fees. Cal Grant B provides a living allowance and tuition and fee assistance for low-income students. Cal Grant C provides tuition and training costs for occupational, technical, and vocational programs. All programs may be applied to nursing schools in California.